Festival of Lights? More like Festival of Bites!! 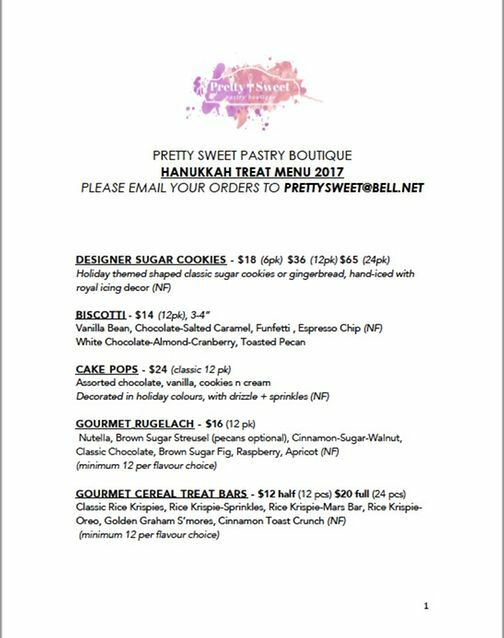 Enjoy this year's Hanukkah Treat Menu, with delicious items like our signature designer sugar cookies, cheesecakes, savoury quiches, and our new gourmet rugelach. It'll be a true holiday miracle if you have leftovers from your event, let alone 8 days!